For once, listen to your body. The power of touch has miraculous effects: for the very young to the very old, for the terminally ill to the marathon athlete and for the stay-at-home mom to the over-stressed executive. I know what you’re thinking, they left out the most important benefits of all, “Temporary relief of Spouse and Kids.” Now some of you may find these last two benefits to be funny and true and some of you are beginning to feel your temples throbbing, a sharp pain in your neck and shoulders and your blood pressure rising, as you say to yourself, “I can’t believe that he just said that”. Well, guess what? 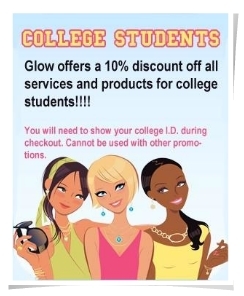 I did just say it, and I just proved why YOU need to “PICK UP THE PHONE AND CALL GLOW MED SPA TO BOOK A MASSAGE”.